After 3 years of intensive development, Trackener is delivering the final version of its first product : Trackener Life. As much of the process has been very much ‘behind the scenes’, we wanted to share with you our ideas and decisions behind the product development to help you understand its uses and capabilities. The idea of Trackener came from the anxiety and frustration I experienced caring for horses which seemed to be relevant to other horse owners too (this came out of all the discussions I had with many horse owners and care givers). Despite ensuring the best possible care and taking considerable precautions, I was still experiencing health issues with my horses. As Jeremie and I both have an engineering background, it became obvious to us that closer monitoring with data driven analysis was the solution. 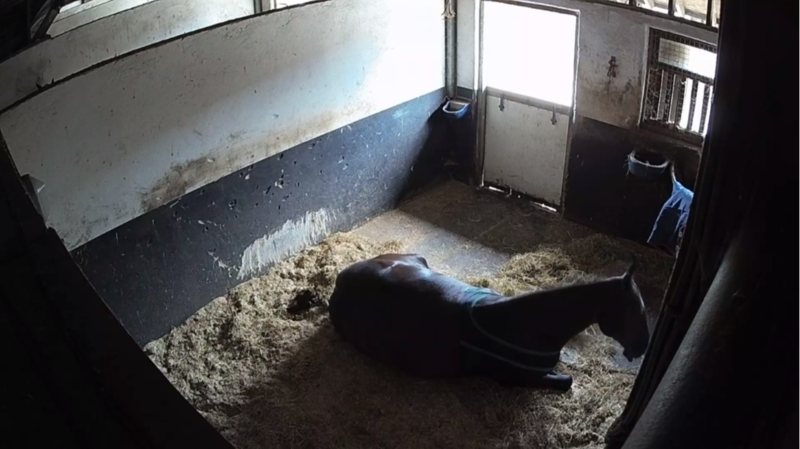 This is how Trackener’s mission started: to revolutionise equine care thanks to key insights from data and technology. 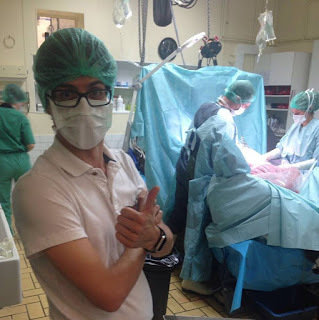 You can read more about our journey and personal backgrounds in our blog titled ‘Our Story’. 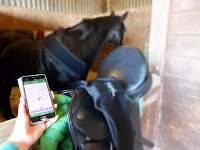 Trackener is a new equine monitoring system, consisting of a horse wearable electronic device and app. 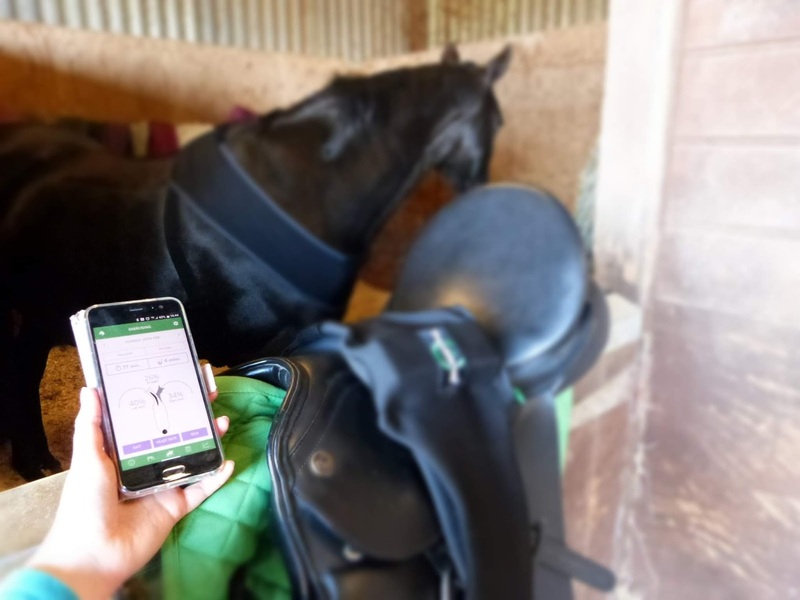 With carefully selected insights to aid the user, Trackener was created to detect and predict health problems early on, prevent the development of equine illnesses and injuries and reduce the anxiety of both owner and horse by relaying the right information around the clock. Unlike some other technologies, Trackener does not solely analyse the horse’s training and exercise sessions… after all these make up less than 0.04% of the horse’s time! 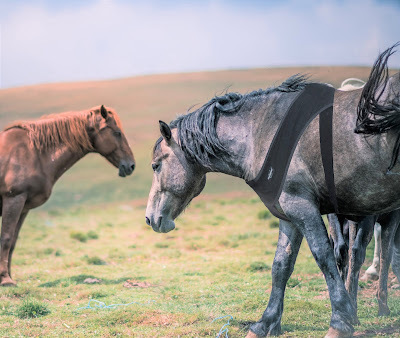 Instead Trackener enables horse owners and carers to learn even more about their horse’s life and use the strength of this information to improve management of their horses and inevitably, their welfare. But how did we decide what to measure?... and why? This article doesn't cover the development of the app but if you're interested to know more about it don't hesitate to leave a comment. As a science driven company, it has always been key for Trackener to work alongside equine veterinarians and various other equine healthcare experts. After the initial idea, Trackener was refined through a series of research activities including 3 days spent observing and discussing with vets at the Clinique de Méheudin in Normandy in France (even watching a colic surgery! ), reading lots of research papers on lameness, colic, laminitis and pain scoring and discussions with many experts in the industry (researchers, vets, physios etc). Although approaching professionals was at times daunting, we were lucky to receive great support from some innovation-driven and like-minded vets and equine scientists such as Nikki Pursey from Farr&Pursey and Josh Slater from the Royal Veterinary College. It was during these discussions that the parameters that Trackener would measure, were finalised. As heart rate is closely associated with pain, anxiety and also the fitness levels of the horse, this appeared to be one of the most important variables to measure. 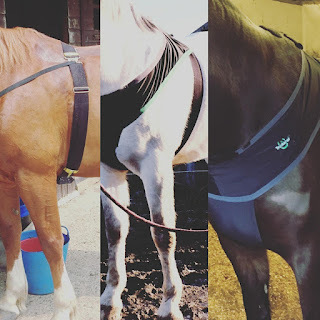 To do this, we adopted the standard Polar heart rate strap system, as it could be well incorporated into the design for wear both at rest and during exercise, it’s accurate for purpose and is already well used and established in equine science (click here to read the research). 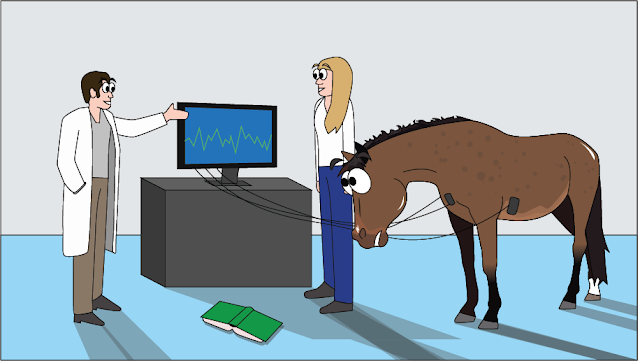 Furthermore, it was practical for the horse to wear during movement which was the second obvious choice to monitor due to the relationship between movement and heart rate to identify pain and changes in behaviour which can be the sign of an underlying problem. Our movement detection components allow walking, lying down, moving on a circle, rolling etc to be correlated with heart rate and help identify the possible cause of a health problem. 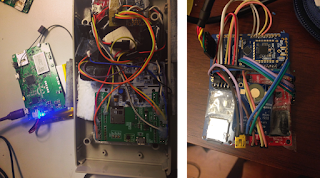 We did also have ideas about incorporating respiratory rate and core body temperature but at the early stages of development, it was not deemed as useful or necessary and the sensors allowing us to do this were not readily available. However, it could definitely be implemented in the future. Skin temperature on the other hand, was achievable due to the location of the device, sitting closely to the horse’s skin and so we thought that a temperature gauge of the horse’s immediate surroundings could prove useful for owners to determine the best rug throughout the day and night. horse is in the field or stable. For communication between the electronic device and the user’s phone, we decided to use GSM technology (2G/3G network) because in every discussion, vets emphasised the importance of alerts in real-time wherever the horse or user is, in the case of a critical problem like colic. Placing a sim card in the device to send out the data was the only way to achieve this. And this was enabling everything to be really plug and play for the user! Once the technical device components were confirmed, we then had to consider how the horse could wear the device and heart rate monitor with the top priorities being comfortable, practical, minimally invasive for the horse and enabling to do precise measurements. Ideas suggested included placement on the leg, neck and tail but each of these raised concern about causing rubbing, possible harm to the horse, inaccurate for measurement readings or impractical for long term wear. After many more discussions with horse owners and carers of all varieties, we created a design whereby the heart rate monitor could be combined with a horse textile, already widely used in the equine industry: the anti-rub vest. Using the same lycra material and manufacturing process by a renowned show hoods company: Belvoir Rugs, the Trackener vest proved comfortable, flexible and practical for the horse while allowing the heart rate monitor to slide through and act as a surcingle and providing a protected location for the device, sitting just behind the front legs on the girth line. This process was similar for the girth sleeve which had to provide firm and protected placement of the device while able to adapt and fit to any type of girth. The progression of the bib from first prototype to final product. With electronic and textile design completed, we then improved the movement detection accuracy by collecting raw data from each sensor over 24 hour periods in a stable with CCTV for comparison and an arena with video recording to verify gaits and reins detected. By collecting and analysing this data, it was then possible to develop algorithms for movement and gait detection before further testing and validation against CCTV and video recording on a variety of horses sized 14.3hh to 17hh. Once validated, using tester horses, the wearable began a pilot testing phase between August 2017 and February 2018 across a variety of horses of all sizes (14.2hh and above), ages, shapes and breeds. More than 5000 hours of data was recorded with on more than 30 different horses from happy hackers, amateur competitors, horses in equine hospitals, a polo-player, a professional dressage rider, a professional eventer and a point to point horse. This revealed that the initial vest was subject to rub and was quickly improved by the addition of an extra soft fleece material around sensitive areas such as the withers, chest and armpit area and a lycra border rather than elastic. This ensured the bib was horse-friendly for long periods in all weathers and comfortable for the horse to move around in, roll in and lie down in, with a range of sizes developed to improve the fit further for each size of horse. During this time, no bib was destroyed and the box encasing the device resisted the weight of the horse during recumbency. With the device and bib carefully refined and the use of the device accumulating more hours every day, we realised it was providing unique insights about the domestic horse which are perfect for research use. As a result, we now have several research studies underway with some results due to be released soon. Make sure you follow us on twitter, Instagram and facebook to hear about these findings. Some of these projects include the investigation of cumulative exercise of livery horses, the influence of the duration of turnout on the horse’s activity and the validity of our system for colic detection. Our plan is to continue working with equine health and behaviour experts in order to implement more and more accurate detection methods into our product. The Trackener community passionately believes in learning and development through innovation like ours, something that will always be ongoing in the equine industry. We are forever grateful for all the help and expertise from equine experts during the development of Trackener and are willing to give back to the community by sharing access to our data for scientific use. We believe there is an incredible amount of scope using the device for research and we would like to help data driven equine science develop and grow. If you are a researcher looking at collecting data for a project, don’t hesitate to drop us an email. We can’t wait for all the fascinating findings that will be acquired over the years thanks to our technology!